An heirloom in-the-making, our cardigan-hat-and-booties set is knit up in Purl Soho's lovely Line Weight merino and features classic Aran cables and beautiful, little details. 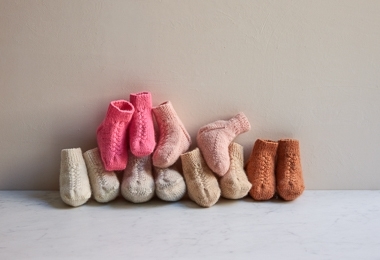 Whether you give the Kit to a crafty, expectant parent or you knit up the set yourself, our Knit Layette Kit is in every way incredibly special! Sized from newborn to six months, choose to receive your Pattern as a PDF download or a hard copy. For more information, including a list of materials you'll need to make your Knit Layette, please click Product Details, above. 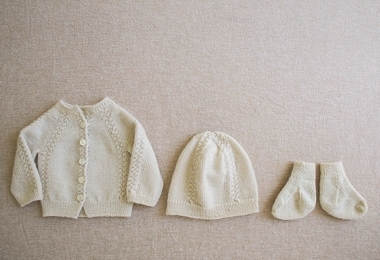 Another option: All of these materials come in our Knit Layette Kit.